Join us September 7th for Duchenne Awareness Day benefitting Fritz & Friends. 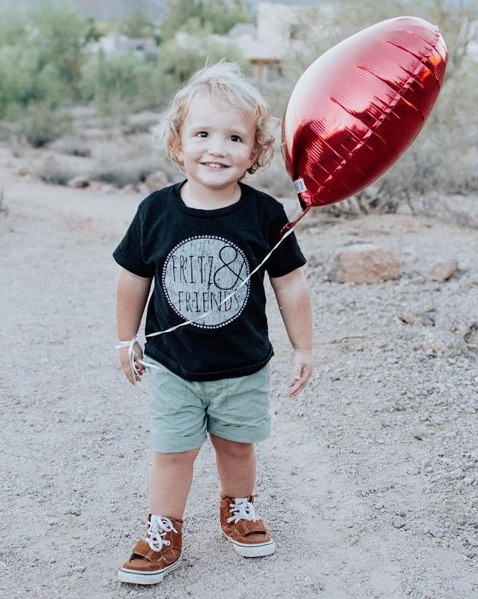 This is Fritz... At 10 months old, Fritz Calvin was diagnosed with Duchenne Muscular Dystrophy, the most common fatal genetic disorder diagnosed in childhood, affecting approximately 1 in every 3,500 male births. Boys with Duchenne lose muscle throughout their life, losing the ability to walk between the ages of 10-12, and do not survive their mid-twenties. There is no cure. Order a Strawberry Chicken Salad and 10% will benefit Fritz & Friends. Proceeds will help fund research that can better the quality of life of those living with Duchenne. For more information about Fritz and how you can help create awareness, visit fritzandfriendsdmd.org and follow them @fritzandfriendsdmd on Instagram.